This could be TSM’s chance to stage their comeback. It’s definitely rare to see a team like TSM struggle, considering their decorated past and seemingly stacked roster. 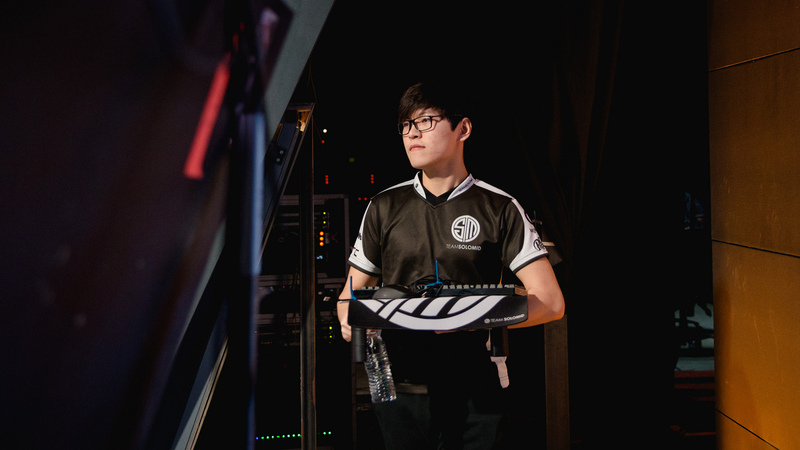 But apparently, when it rains, it pours for TSM. TSM doesn’t bring a lot of heat to the table. They’re off to a horrible start with only one win under their belts, and the only reason they’re even considered a middle-of-the-pack team is because of their pedigree. If it were any other team with any less trophies, they’d be worth exactly where they stand in the rankings—a seventh-place team. This is the worst the team has looked in years. This week, they’re facing off against 100 Thieves, a veteran-loaded roster full of comeback kids such as William “Meteos” Hartman, Zaqueri “Aphromoo” Black, and Yoo “Ryu” Sang-wook. Other players on the roster, namely Cody Sun and Kim “Ssumday” Chan-ho, had fairly successful seasons with Worlds and NA LCS semifinals appearances respectively. This roster, despite concerns that Ryu, Meteos, and Aphromoo haven’t succeeded over the past couple of years despite very impressive highs throughout their careers, has been crushing the league. They’ve only given up one game to Cloud9, who they’re tied with for second place. All that considered, TSM doesn’t stand a great chance at walking away with their second victory. Nonetheless, they need this win against one of the top-three teams if they’re going to grab hold of their identity as a North American powerhouse once again. The featured matchup of the game is definitely the jungle duel between Meteos and Mike Yeung. Both junglers played for Phoenix1 last year at some point, and then both of them joined bigger and better teams for the 2018 season after Phoenix1 disbanded. The only difference is that Meteos has been playing better than he did in 2017, while Mike Yeung seems to have regressed. When Mike Yeung burst onto the scene during the 2017 Summer Split, there was nothing but hype surrounding him. He was one of the youngest players to ever hit Challenger, and he was signed on for an LCS team as soon as he turned 17. Throughout P1’s defeats, and there were a lot of defeats, Mike Yeung seemed to be the only player who stood a chance. When TSM picked him up this offseason, the team was automatically predicted to be one of the top-two teams in the region under the assumption that Mike Yeung would perform even better on a successful team with more resources. Unfortunately for him, it’s been the opposite, and although he hasn’t been the weak link every game, he certainly isn’t helping. 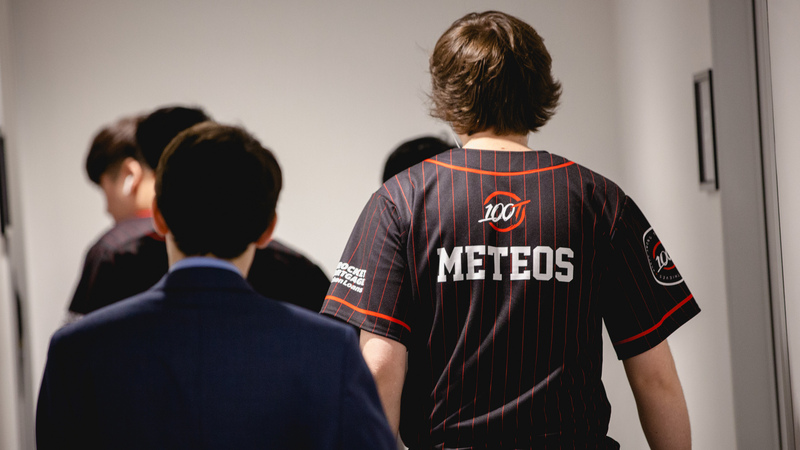 On the other side of the coin, Meteos has been shining as one of 100T’s star players. During his time on C9 from 2013 to 2016, he went through phases of excellence. It was in those time periods, throughout the 2013 and 2014 seasons, that he was considered one of the best players in the region. That excellence faded, however, until he eventually left C9 in order to give them a better chance at success. After joining P1 during the 2017 Spring Split, one split before Mike Yeung joined, he was one of the only consistently strong players on the team—but he was still only a shadow of his former self. Eventually, he was replaced on the roster, and remained as a substitute player for the remainder of the season. This year, it appears his dominance has returned in full force. He plays extremely aggressive, but he isn’t reckless, and he knows when to back out of the enemy jungle and out of tower dives to avoid defeat. More impressively, he knows how to rotate and command fights to close out a game, something that Mike Yeung has yet to show he can do at all. It isn’t likely that Mike Yeung improves enough to go toe-to-toe with Meteos this weekend, but his team can give him some extra attention to make sure he isn’t pushed out of the game. While it’s safe to say that the “Bjergsen is a KDA player” insult is a meme that’s been blown way out of proportion, fans wouldn’t have started chanting it unless there was at least some seed of truth to the accusation. 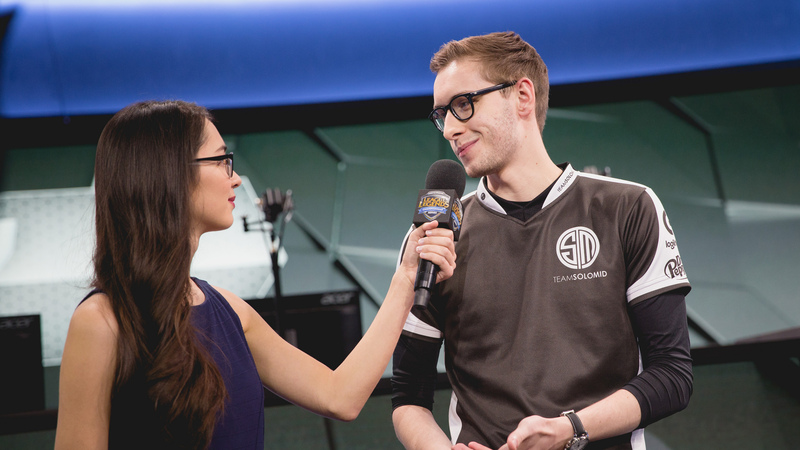 Søren “Bjergsen” Bjerg has been in the NA LCS since the league’s inception in 2013, and he’s become very well-known for being the flashiest hypercarry mid laner in the region since then. As the last season progressed, fans started to realize that Bjergsen’s shine as an exceptional player was fading away, especially at Worlds, and that realization birthed the “KDA player” meme. The real problem, however, isn’t that Bjergsen plays to protect his KDA, and it isn’t that he’s suddenly become a worse player—it only seems that way. His slowing performance and lesser impact on every game aren’t the problems, however, they’re the symptoms of a larger issue, which is the game itself. When Bjergsen stood out as the region’s best uncontested mid laner, he single-handedly carried his team. His mechanical skill and talent haven’t faltered in the slightest, it’s simply harder to carry the game by yourself. League of Legends has truly evolved into a team game, and Bjergsen’s style as a one-vs-five mid laner just doesn’t work out. He’s tried picking up supportive mid laners like Galio and Malzahar to keep up with the changes and to support his team around objectives, but he simply doesn’t play that style as well as he plays the role of hypercarry. And yet, that’s what it takes to win. And so we see him standing by his tower, sitting back behind fights, and having extremely uneventful KDAs game after game. He isn’t doing it to protect his stats, he’s doing it because he doesn’t play mid as a supportive playmaker as comfortably as his old style. If you look across the ocean in the LCK, you’ll notice Lee “Faker” Sang-hyeok doing the same thing on his wavering SKT Telecom T1. He can’t carry his team with his sheer mechanical talent, because the game doesn’t allow him to do that anymore, and SKT continue to struggle. This week, he goes up against Ryu, and although Ryu has fallen far from his days of being considered one of the best mid laners in the entire world, he’s still playing better than he has in a long time. If Bjergsen wants to truly carry his team to victory, he needs to learn to dedicate more of his time and resources to Mike Yeung and to his bot lane. He needs to be proactive and willing to sacrifice himself to get the rest of his team situated in a better position, because that’s what a supportive, playmaking mid laner does in the current meta. TSM’s game against 100T kicks off at 6pm ET on Sunday, where we might finally see TSM return to form.